Manipur Chief Minister N Biren Singh and Arunachal Pradesh Chief Minister Pema Khandu met Home Minister Rajnath Singh on Monday to inform him of the ground situation in their states, where people are protesting against the Citizenship (Amendment) Bill. The two chief ministers of the BJP-ruled states in the northeast asked the centre not to go ahead with the Bill. During a 30-minute meeting, they apprised the home minister about the prevailing situation in the northeast, which has been seeing continuous protests against the Bill, which seeks to provide Indian nationality to non-Muslims from Pakistan, Bangladesh and Afghanistan. They asked Mr Singh not to pass the Bill before convincing the people of the northeast and sought protection of their cultural and linguistic identities, an official said. The home minister asked the chief ministers not to worry and assured that the rights of the indigenous people of the northeast would not be diluted, the official said. 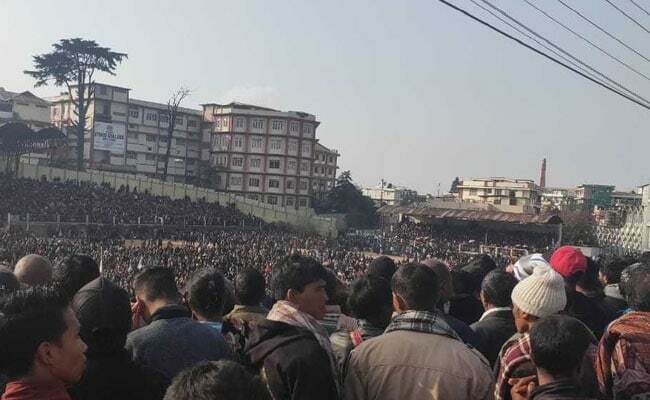 Meghalaya, Assam, Mizoram and Manipur have seen widespread protests since the Bill's passage in Lok Sabha. The protests have spiked particularly in Assam, where the inflow of illegal migrants from Bangladesh is a huge social and political issue.